including some of the region’s most unique and exciting boutiques, Great Neck Plaza has something for everyone, at every price range. Placing customer service as our highest priority, our merchants take pride in offering value, service and a warm welcome to every visitor. lunch or dinner at any of our white tablecloth or casual dining establishments. 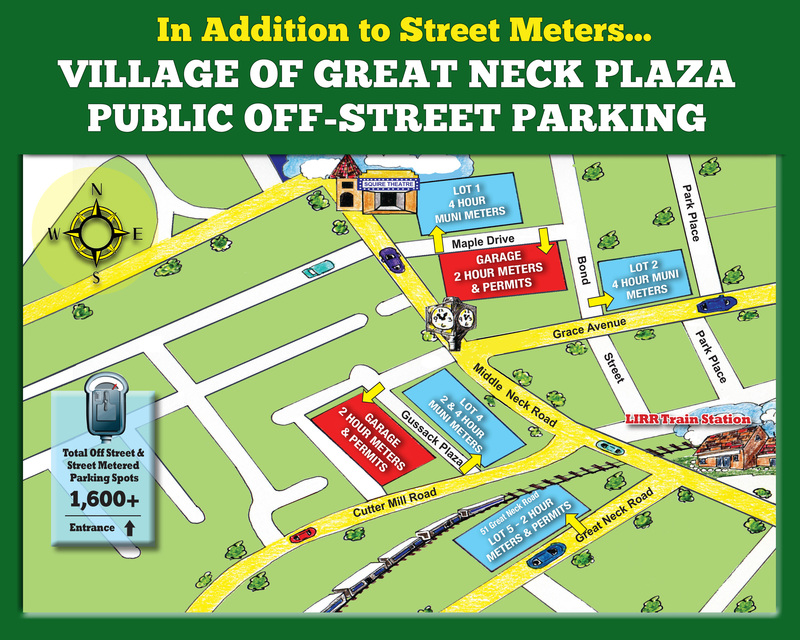 Over 1,650 2-hour and 4-hour metered parking spaces available for your convenience. Street parking is 2-hours. Municipal garages and outdoor parking fields are 4-hours. Garage parking is free weekdays after 3:00PM and all day Saturday and Sunday. Click here for a map of municipal garages and outdoor parking fields.